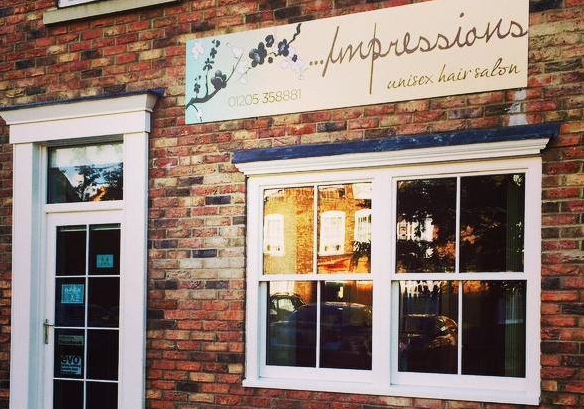 'Impressions’ is a modern, friendly unisex hair studio based in Boston, Lincolnshire. We offer a wide range of high quality services and products to suit your individual needs. Our team of dedicated stylists deliver high standards and expertise along with impeccable customer service. Official Stockists of GHD, MoroccanOil and Evo. Very pleased with cut and blow dry? Friendly staff in a modern salon. Leanne gave me a good cut and blow-dry, next appointment made before I left. Would just like to say a very big thank you to Natalie for cutting &restyling my hair today.I went to the salon wanting a change & was very impressed with how she helped me choose, advising on what she could do to get my new hairstyle. I love the end result & ,as always, it was a very pleasant experience .Thank you very much Natalie, see you again in 6 weeks! Thank you to the lovely Leanne for once again doing my hair, it looks fabulous as usual. Love this Salon with the warm and friendly staff. Just moved to the area and had to choose a new hairdresser. Couldn't have done any better. Friendly, efficient and a great cut too, guess I was lucky first time. Always have my hair done by nat, always does an amazing job! everyone is so friendly and is always a great atmosphere when you go in. Hayley has done my hair for years now. She is v good and so lovely with it. Leanne has been doing my hair for 3/4 years, and I have always left the salon more than satisfied. Salon is clean and nice and relaxing, especially in the massage chairs whilst having your hair washed. Excellent service, and very friendly staff. I can highly recommend.